Introducing our dedicated and accomplished management team. Mr. Burke serves as President and CEO of Hillcrest Educational Centers, Inc. He has been employed at Hillcrest since 1985, serving as its CEO since 1992. His experience spans over 30 years, working with children with special needs in both the private sector and public school system. Mr. Burke has been part of a team of professionals who have changed a bankrupt company, the former Avalon Schools, into a fiscally stable and successful Joint Commission accredited organization. Hillcrest employs over 500 professionals and operates with a $30 million dollar budget. Mr. Cusson began his career with Hillcrest as a Youth Development Counselor more than twenty years ago. 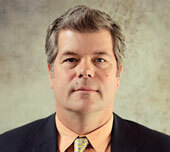 He has been a senior manager since 1997, and was promoted to Executive Director in 2013. 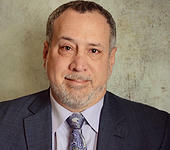 His current responsibilities include the general oversight of the agency, supervision of the Senior Vice President, Human Resources, the Directors of Information Management and Workforce Development, and the Program Directors for Hillcrest Academy and the ASD Residential Program. Mr. Cusson also oversees quality assurance and compliance with licensing and accrediting agencies, facilitation of Senior Management activities as well as the design and execution of company goals and operational objectives. Mr. Smith has been employed by Hillcrest Educational Centers, Inc. since 1997. As Senior Vice President, Mr. Smith oversees residential programming for adolescent girls, adolescent boys and the sexual-abuse specific program. He is responsible for all aspects of program oversight through the direct supervision of the Highpoint and Brookside Intensive Treatment Unit campuses. Additionally, Mr. Smith is responsible for program development and implementation through the direct supervision of Hillcrest’s Education Director, Nursing Director, Clinical Director and Quality Assurance Director. 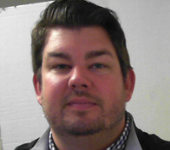 Mr. Smith is also responsible for overseeing Hillcrest’s Admissions and Marketing department and working in conjunction with programs to maintain Agency census. Before coming to Hillcrest Educational Centers, Inc. Mr. Smith had experience working with both adolescent boys and girls during his time living in upstate New York and Vermont. During his tenure with Hillcrest, Mr. Smith has worked in most areas of residential including: direct-care, supervisory, program management and group facilitation. Additionally, Mr. Smith has held several key management positions including Program Director for the Intensive Treatment Unit, Program Director of the Highpoint Campus and Vice President of Residential Programs. 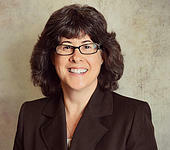 Michele Morin is the Vice President of Human Resources & Workforce Development at Hillcrest Educational Centers. Michele is responsible for all people functions including the strategic planning, managing, developing, evaluating, and improvement of human resources to provide the agency with an engaged and committed workforce that possesses the knowledge and skills capacity to meet the current and emerging needs of the children, youth, families, and communities served. She ensures recruitment and hiring practices, along with compensation, benefit, wellness, incentive, and advancement programs, attract and retain a broad and robust pool of people with diverse backgrounds and experiences to position the agency as an employer of choice and distinguish them within the human service industry. Michele has 28 years of experience in the field of education including 5 years as a high school educator in the public schools and 23 years as a staff educator in human services. In 2005, Michele joined Hillcrest Educational Centers as the Director of Workforce Learning. Mr. Placido is the Chief Financial Officer at Hillcrest Educational Centers, Inc. His responsibilities include overseeing the overall financial operations of the organization and affiliated organizations, preparing monthly financial statements, and annual operating budgets for each company, coordinating the annual external audits and preparing the monthly financial reports which he presents Boards of Directors for each corporation. Mark is a member of the Senior Management Team and is involved with external parties such as lenders, retirement plan administrators and insurance providers. Mark is Treasurer for both Hillcrest Educational Centers, Inc. and Hillcrest Dental Care, Inc. and is a member of the Board of Directors for Berkshire County Kids Place & Violence Prevention Center. Mark joined Hillcrest in 2007. Prior to this he served as Treasurer of the Berlin Central School District in Berlin, New York for two years. Prior to that he was employed in the Accounting Department at Canyon Ranch in Lenox, MA for thirteen years, serving as Accounting Manager for the last seven years. Earlier in his career he worked for Hillcrest as a childcare worker and in the Business Office processing Accounts payable. 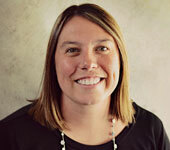 April Slater Roche is the Director of Clinical Services at Hillcrest Educational Centers. In her role, April provides oversight for agency-wide clinical services including individual, group, and family therapies, crisis assessment work, as well as funding agency compliance measures. April is an active member of her community, having served on her local School Committee and Arts Council as well as volunteering to coordinate youth events. She is an officer of her local Lions Club. A lifelong resident of Berkshire County, April joined Hillcrest Educational Centers in 1996 as a direct care staff. In 1998, after completing her Masters in Social Work, April became a member of the clinical department. She has held positions of Clinician and Lead Clinician at various HEC sites, and has held the position of Director of Clinical Services for the past 4 years. 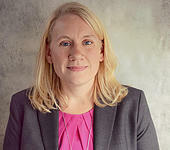 She has been involved in the development and ongoing implementation of Hillcrest’s trauma-informed treatment model called “Skills for Life.” April holds licensure as an independent clinical social worker in the state of Massachusetts. Mr. Gidarakos is employed by Hillcrest Educational Centers as the Director of Admissions and Marketing. His experience spans over 30 years in the human services field. He was employed by the Eagleton School Inc. for 25 years until retirement. He began his career as a CCW, supervisor/administrator and then residential director. He served as Program Director for 17 years supervising all aspects of the program. He also served as Admissions and Marketing Director concurrently. Upon retirement he joined the Hillcrest team as the Director of Admissions and Marketing in January of 2012. Allison Billard is the Program Director of the Hillcrest Academy, Hillcrest Educational Centers’ therapeutic day school. She oversees the educational and therapeutic programming of the school, as well as the day-to-day functioning of the campus. Allison is an active member of the Berkshire Young Professionals steering committee. She is also a member of the Berkshire Chamber of Commerce’s Class of 2013 Berkshire Leadership Program. She began her professional career as a School Psychologist within the Springfield Public Schools. In February of 2007, she joined Hillcrest Educational Centers as the School Psychologist for the Hillcrest Academy (formerly Housatonic Academy). In October of 2008, she transitioned to her current position of Program Director. Yvette Stoddard is the Director of Autism Services for Hillcrest Educational Center. In her role, she provides Applied Behavior Analysis oversight to the agency. 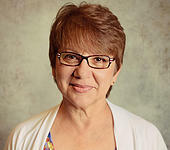 Yvette directly supervises a team of Board Certified Behavior Analysts and the implementation of ABA interventions and treatment for the Autism Spectrum Disorder residential program. 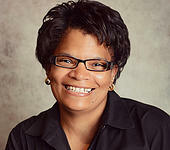 Yvette is a board member of the Northern Berkshire United Way. She is also a member of several professional organizations related to Applied Behavior Analysis and Administrators for Special Education. Yvette began her professional career as an ABA therapist over 20 years ago. She worked at Lower Pioneer Valley Educational Collaborative for 8 years as a Special Education Administrator and a Behavior Analyst. In November of 2015, she joined Hillcrest Educational Centers as the Assistant Director of the Autism Spectrum Disorder Residential Program. In January of 2019, she transitioned to her current position of Director of Autism Services. 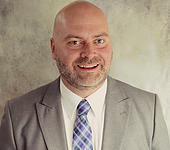 Jonathan Kellogg is the Program Director of the Hillcrest Educational Centers’ Autism Spectrum Disorder Residential Program located in Lenox, Massachusetts. The ASD program specializes in ABA treatment along with severe behavioral difficulties in youth ages 6-21. Jon is responsible for overseeing all functions of the program, including oversight of treatment, budgets, care, admissions, corresponding with families, and other day-to-day operations. Jon received a bachelor's degree in criminal justice with a minor in sociology from American International College. Just prior to graduation, he joined Hillcrest Educational Centers as a director care worker. Since then, he’s held the positions of assistant supervisor, assistant director, and co-director. In January 2019, he transitioned to his current position of Program Director of the Autism Spectrum Disorder Residential Program. 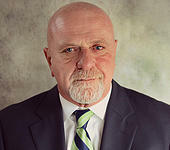 Peter Lopenzina is the Program Director for the Brookside Intensive Treatment Unit, a highly staffed hospital diversion program for 26 behaviorally challenged females. He has overseen the successful growth of the ITU from a nine-bed facility in Hancock, MA into the current 26-bed facility in Great Barrington, Massachusetts. Peter is active in the community, having served on a variety of boards and volunteering time for agencies such as Special Olympics, The Pittsfield Boys and Girls Clubs and the Catholic Youth Association. He worked in the newspaper business, including for the Berkshire Eagle, before joining Hillcrest in 1985. Over the years he has run a variety of programs for Hillcrest while earning two Masters degrees, one in Human Service Administration in 1990 and a second in Social Work from Springfield College in 1999. As a clinician Peter has worked with the most behaviorally challenged students. 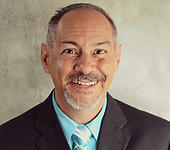 He has experience programming for a variety of diagnoses and treatment issues, including those with fire setting, sexual boundary, and trauma/neglect backgrounds. 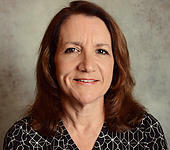 Cheryl Richards is the Workforce Learning Manager at Hillcrest Educational Centers. She is responsible for the generation and direction of blended learning programs with a focus on expanding the capacity of staff to meet the current and emerging needs of the individuals served. Cheryl started at Hillcrest Educational Centers in 1996 as direct care staff and worked her way to Program Manager at the Hillcrest Center campus in Lenox, MA and most recently, was promoted to the Workforce Learning Manager. Cheryl serves on the Board of Directors for the CYC, she is a member of the School Council for Herberg Middle School, and serves as a CASA (Court Appointed Special Advocate) through Berkshire Children and Families. 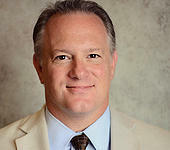 David Luckadoo is the Quality Assurance Director at Hillcrest Educational Centers. He has been employed with HEC since 2008 after relocating to the Berkshires from North Carolina. David is a member of the Senior Management Team and coordinates investigation within the agency dealing with possible allegations of Abuse or Neglect. He also takes an active role in campus security maintenance, environment of care, and staff training. Before joining Hillcrest, David held the position of Youth Services Technician with the North Carolina Department of Juvenile Justice. Since joining HEC in 2008 David has held several direct care supervisory and administrative positions. Before moving into his current position in 2014, David held the position of Fernbrook Program Manager. 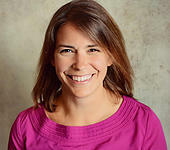 Ashley Kellogg is the Program Director of the Hillcrest Educational Centers Highpoint Campus located in Lenox, Massachusetts. She is responsible for overseeing the successful operation of the Highpoint Program. The Highpoint Program specializes in the care and treatment of adolescent males who are in need of sexual abuse specific treatment and specializes in treating adolescent males who have been exposed to abuse and neglect have a significant trauma history and engage in significant high risk behaviors. Ashley collaborates with the campus administrative team to ensure a trauma informed care environment is provided to students in all areas of program on the Highpoint campus. Additionally, she collaborates with the admissions department regarding referrals and admissions to the programs. Ashley currently serves on the Board of Directors for Central Berkshire Habitat for Humanity and Massachusetts Association for the Treatment of Sexual Abusers. 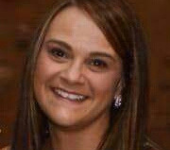 Ashley joined Hillcrest Educational Centers in June of 2004. She has held multiple positions within the agency over her career. Prior to becoming the Program Director of the Highpoint Campus these roles have included clinical Case Manager, Clinician, Lead Clinician and Clinical Coordinator at multiple campuses throughout the agency. Diane Parks is the Director of Education for Hillcrest Educational Centers, Inc. She is responsible for ensuring regulatory compliance with the Massachusetts Department of Education, supervision of the faculty members, and the leadership and guidance in the provision of effective instructional programming. Diane is an active member of the Association for Supervision and Curriculum Development (ASCD) as well as a member of the Massachusetts Association of Approved Private Schools (MAAPS). She has held a variety of Teaching and Administrative positions in programs for special needs children in Pennsylvania and New York before joining Hillcrest Educational Centers, Inc. in 1992. Over the past twenty two years as a member of the Hillcrest Community Diane has held multiple positions including Teacher, Principal and Assistant Program Director. 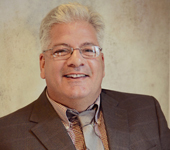 Mike Supranowicz is the Director of Business Development at Hillcrest Educational Centers. He oversees Hillcrest Dental Care, Hillcrest Community Support Services, and the Hillcrest grant writing office. 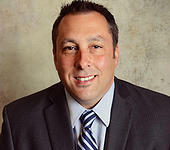 From 2005 - 2014 Mike was the President and Chief Executive Officer of the Berkshire Chamber of Commerce and the Chief Operating Officer of 1Berkshire Strategic Alliance Inc. From 2000-2005 he served as Vice-President, Chief Operating Officer of the Berkshire Chamber of Commerce. Previous to his Chamber work, Mike managed supermarkets for Big Y Foods and the former Adams Supermarket. Tim Gallagher is the Director of Development and Community Relations at Hillcrest Educational Centers, Inc. His responsibilities include developing and executing the development plan, planning and implementing fundraising events and annual campaigns as well as networking with other organizations, charities and individual donors. Tim Gallagher has a long history with Hillcrest Educational Centers. 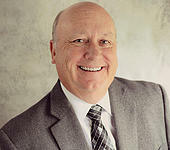 Tim first joined Hillcrest as an intern in 1988 and had several key roles within the organization ranging from clinical work to staff development and training. After several years of private consulting and other executive management roles locally, Tim was chosen as the Director of Business Development for Hillcrest from 2007-2013. Most recently, Tim was the CEO of Ramblewild, a privately funded business venture located in Lanesborough, MA. Gallagher has experience in many different industries including recreation, training and staff development, clinical therapy, complimentary medicine, and business development. Tim’s expansive career has given him many assets to bring to Hillcrest in the Director of Development and Community Relations role. Heather Williamson is the Director of Berkshire County Kids’ Place and Violence Prevention Center, an affiliate of Hillcrest Educational Foundation. Heather is responsible for the oversight of the fiscal, administrative, clinical and fund development of the agency. She is an active committee volunteer working with area nonprofits, committees and political campaigns. Heather’s professional focus has been in not-for-profit management and child development. She uses her proven track record in administration, along with her love for children and desire for their well-being to strengthen the mission of the Berkshire County Kids’ Place. 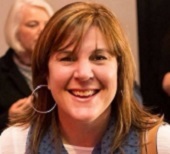 Kathy Barbieri is the Executive Coordinator to both the Presiden/CEO and the Executive Director of Hillcrest Educational Centers, Inc. and has served in this capacity for over 14 years. She began her employment in 1982 with the, then, Avalon schools. Ms. Barbieri was recruited for the position of Executive Coordinator by the President/CEO to carry out all Executive Secretarial and related duties associated with the position. She is the Executive Recording Secretary to the Board of Directors and its’ associated committees and also acts as liaison to the Executive Offices for the Hillcrest Senior Management Team. Prior to her current position, Kathy served as the Admissions Coordinator for over 10 years, recruited for that position by the Director of Admissions.